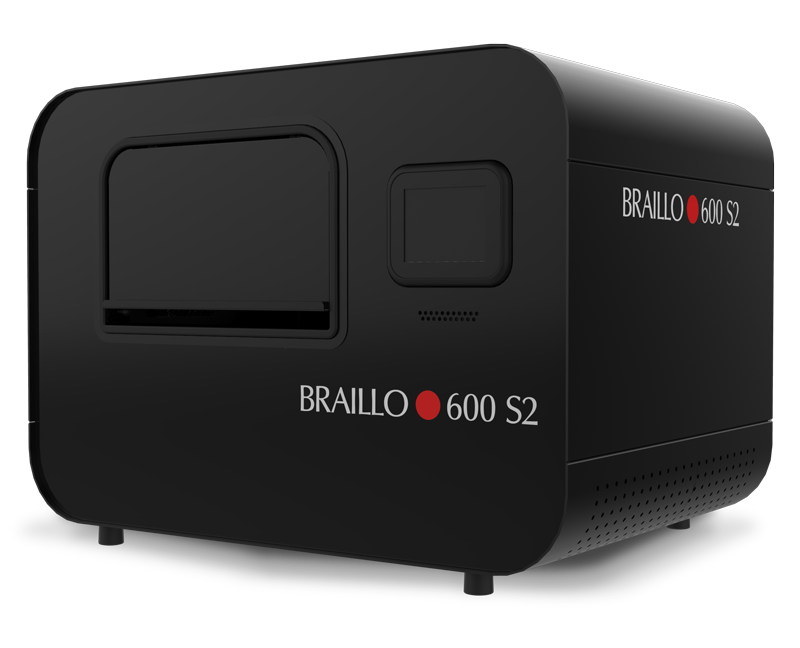 Braillo Are The Only Embossers That Meet All Braille Authority Dot Height & Spacing Standards. One of the most important characteristics of high quality braille is the height of the braille dot itself. Inconsistent heights and low profile braille dots are difficult to read, whereas higher braille dots are naturally easier to read. A legible braille dot through its height is so important that a .46 mm height is the minimum requirement for paper embossing in many countries around the world. For these reasons, all Braillo braille printers emboss a braille dot at up to a .5mm height. When creating braille documents for governments and customers around the world, ONLY Braillo can give you the confidence that your documents are compliant. Other manufacturers may falsely claim that they can emboss .5mm braille dots, however, this is simply not correct. Has a sighted reader ever received a document where the ink toner had been weak or faded out so that parts of the text were unreadable? This is very similar to what is happening when consumer grade, solenoid-based braille printers are attempting to run at production level speeds and duty cycles. These braille printers, or braille embossers, were built for light duty, and while they can be decent braille printers, it is only when they are only used for very small workloads. You can quickly identify a consumer grade braille printer, as they look much like a PC printer – small, made of lightweight plastics and have smaller printing components. 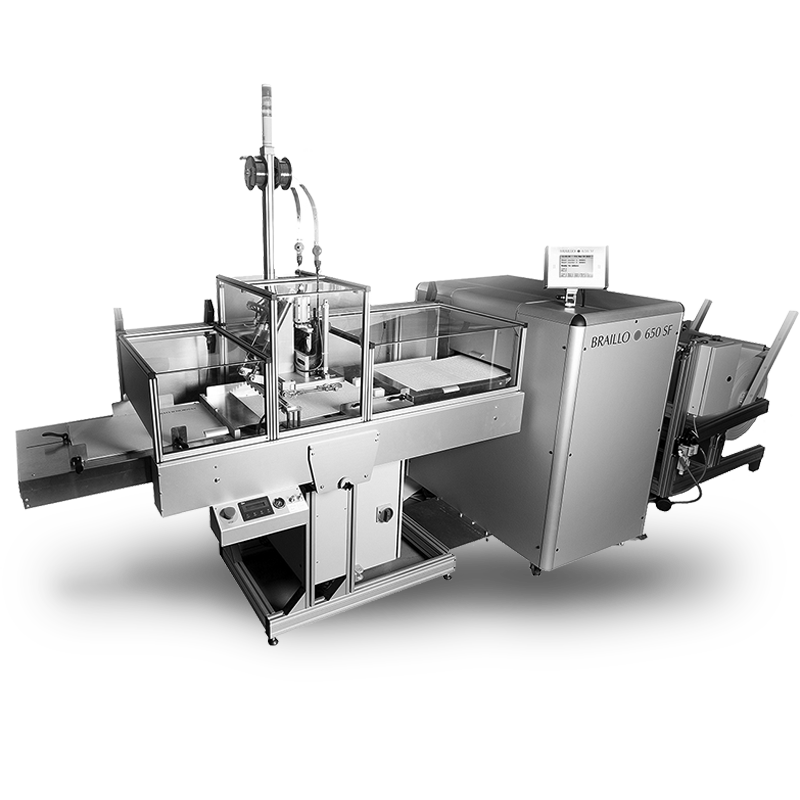 Some companies may assemble 2-4 of these consumer level machines together into one “unit” and call it a production embosser, which clearly is not the same as a Braillo production embosser. When attempting to run a consumer level printer at a high speed or for a long duration, they are quickly pushed past their limits and the braille dots become inconsistent – their height is varied, their spacing and placement get wild and the braille text becomes extremely difficult to read. To make matters worse, many braille printers on the market today intentionally create a low braille dot height, which may slightly increase embossing speed, but at the very high cost of poor readability. Braillo braille is known as the easiest to read and the reason is simple – our braille is at the proper height and perfectly aligned. When the braille characters aren’t where they’re supposed to be on the page, the reader has to try and guess what the word is supposed to be, or stop and re-read the sentence. Look closely at this image to the left (click to see a larger view) and you’ll see that our competition’s braille output is wavy and the dots within the rows and columns are not perfectly aligned, whereas the dots from a Braillo are exactly where they need to be. Would you risk delivering poorly formatted braille with low dot heights that don’t meet a country’s set standards? What about having braille characters that are in the wrong location? 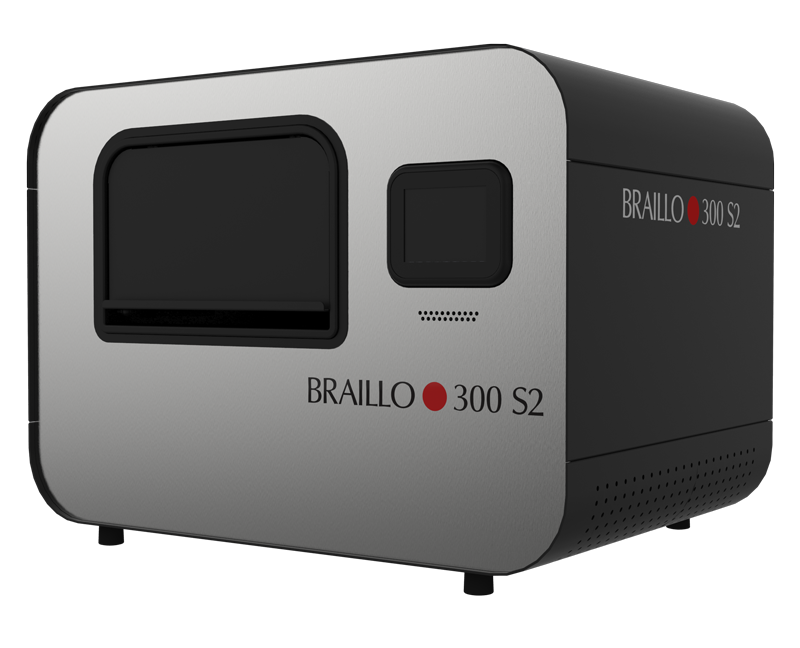 Trust in a Braillo to produce braille documents efficiently, with superior formatting and up to a .5 mm dot height, which meets or exceed government requirements. 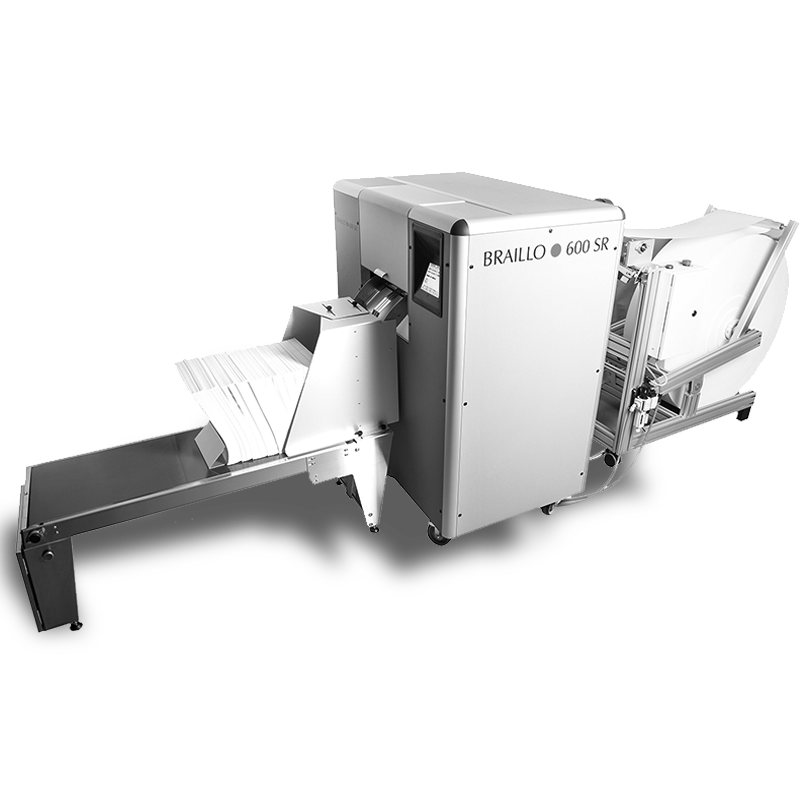 All Braillo’s include Duxbury braille translation software and an industry leading 3 year warranty. 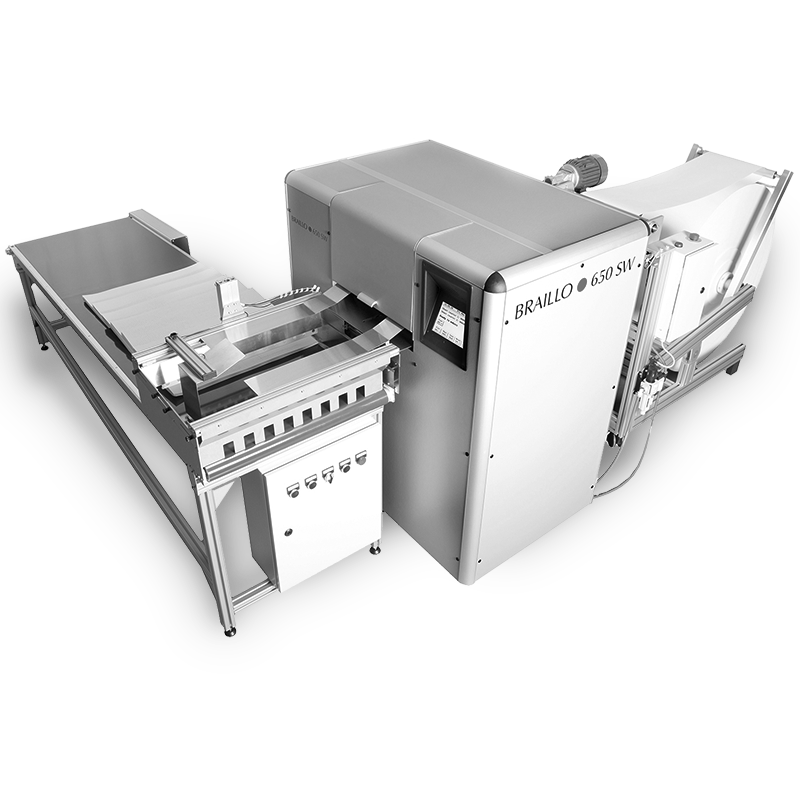 Braillo braille printers are constructed with precision-engineered, strong metal components and fixed embossing pins. This combination means that there is virtually no lateral movement while embossing, which allows you to print at extremely high speeds 24/7, while still maintaining superior braille alignment and height. 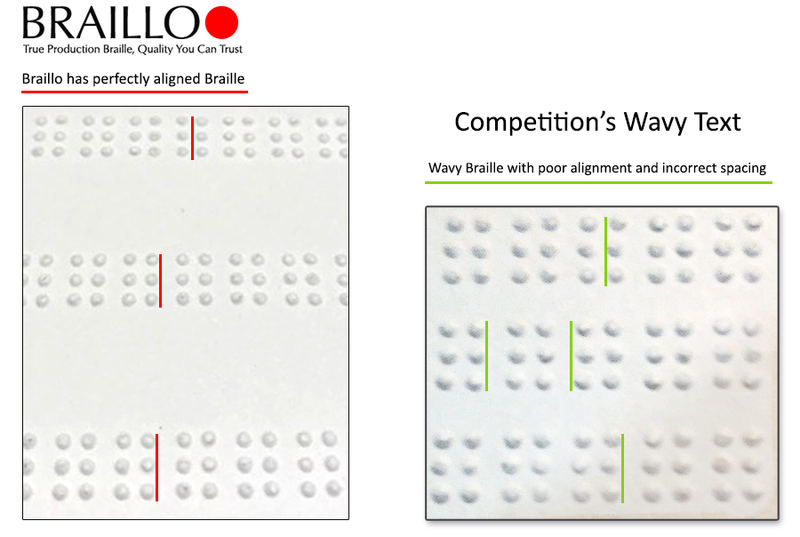 With Braillo, you will not get wavy braille and uneven dot heights. 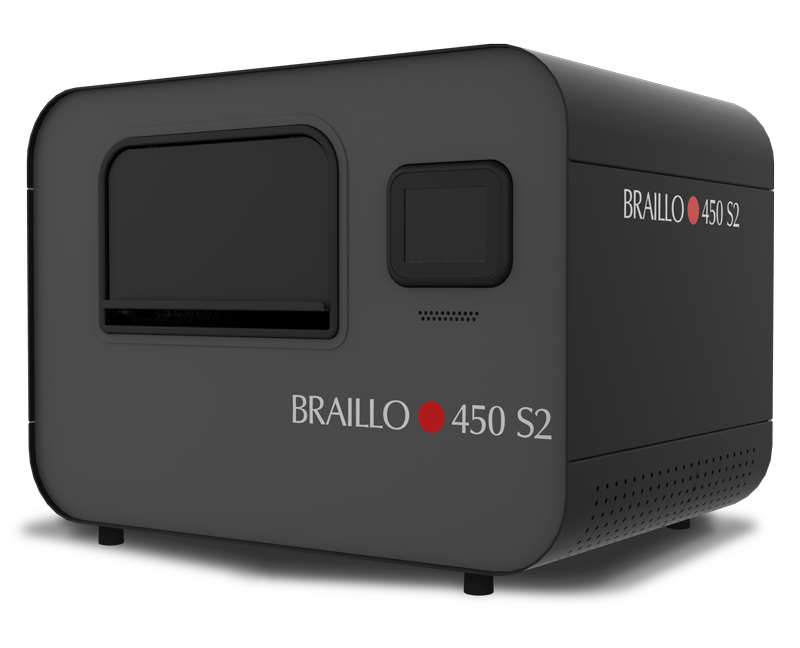 You can see a comparison of the components that make up a Braillo production braille printer and those in other “production printers” by clicking here. When braille embossing with a Braillo, you create rich reading experiences for your customers, all while meeting the highest formatting standards required by governments around the world.